Welcome to my new feature: Sunday Bakes! Every Sunday on the blog I’ll be trying out a new bake whether it be a cake, a pie, a biscuit, bread or a tart and sharing the recipe and the results with you. I’d definitely describe myself as more of a cook than a baker so this could be interesting and I promise to share with you no matter what the result (hopefully nothing goes too disastrously). I’m hoping this will improve my baking skills and yes it may have been more than a touch inspired by my love for The Great British Bake Off. 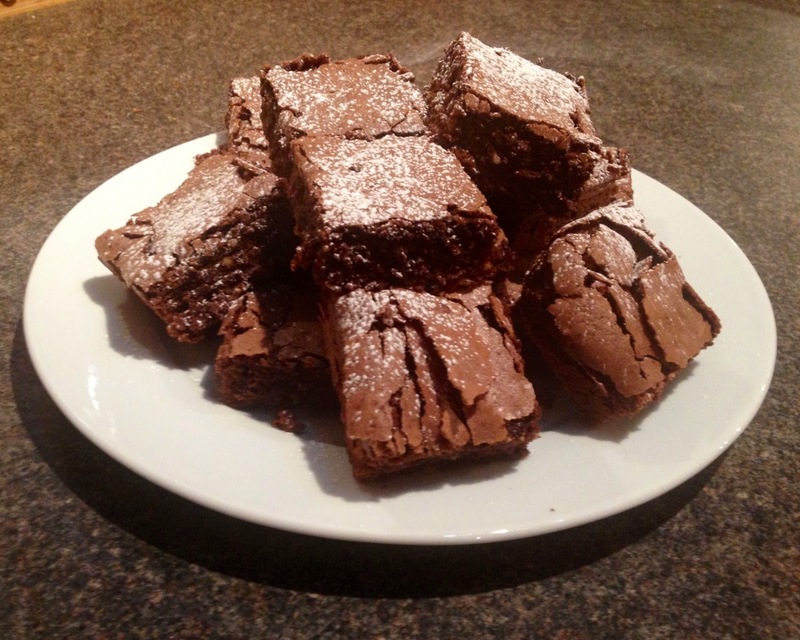 So what better recipe to kick off with than chocolate brownies! This is my adapted version of a recipe from The Great Comic Relief Bake Off booklet so please go and buy it (order online or also available to buy at Sainsbury’s and Waterstones) it has lots of good recipes and it’s only £2.50 which goes to a good cause. 2. Grease a tin and line with baking parchment. 3. Cut the butter into cubes and break the chocolate into pieces and add to a small saucepan. 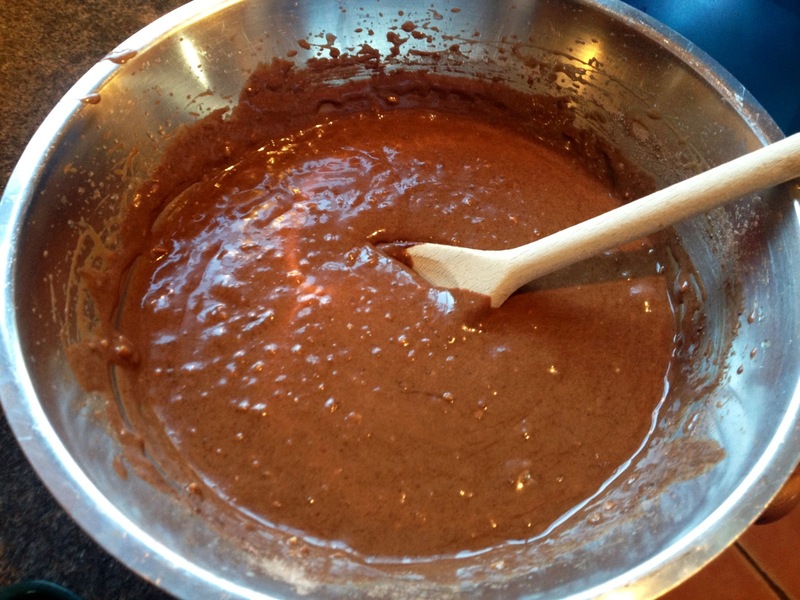 On a very low heat melt them together, gently stirring until the mixture is smooth. Remove from the heat immediately to avoid burning and set aside. 4. 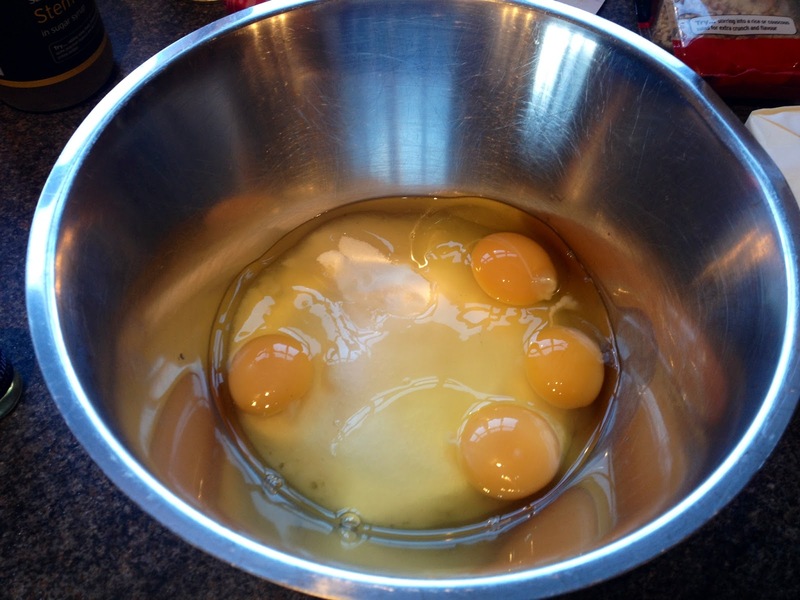 Add together the sugar, eggs and vanilla extract and beat together until the mixture is frothy, this will take a couple of minutes. 5. 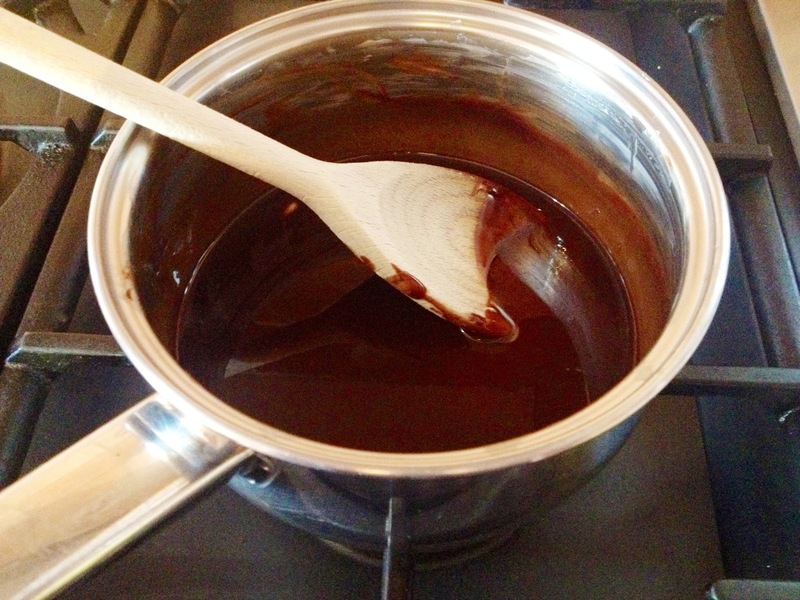 Pour in the melted chocolate mixture and continue to whisk until completely blended together. 6. Sift in the flour and cocoa powder and fold into the mixture with a wooden spoon until both wet and dry ingredients are completely combined. The result should still be quite runny so don’t worry if you think you’re mixture is too wet. 7. Stir in your hazelnuts until evenly distributed among the mixture. 8. 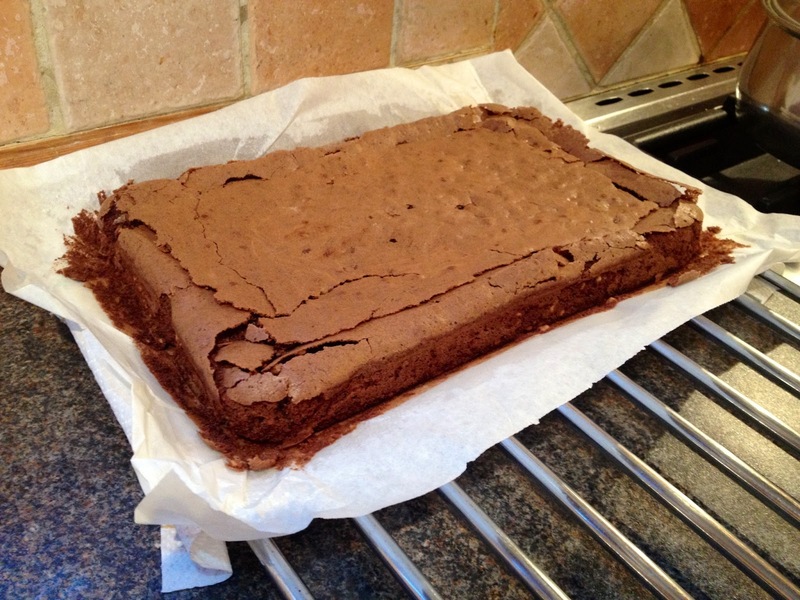 Pour the mixture into the tin you prepared earlier ensuring it is spread evenly into the corners. 9. Gently bang the tin on your work surface to knock out any air pockets. 10. Place in the oven for 20-25 minutes. 11. 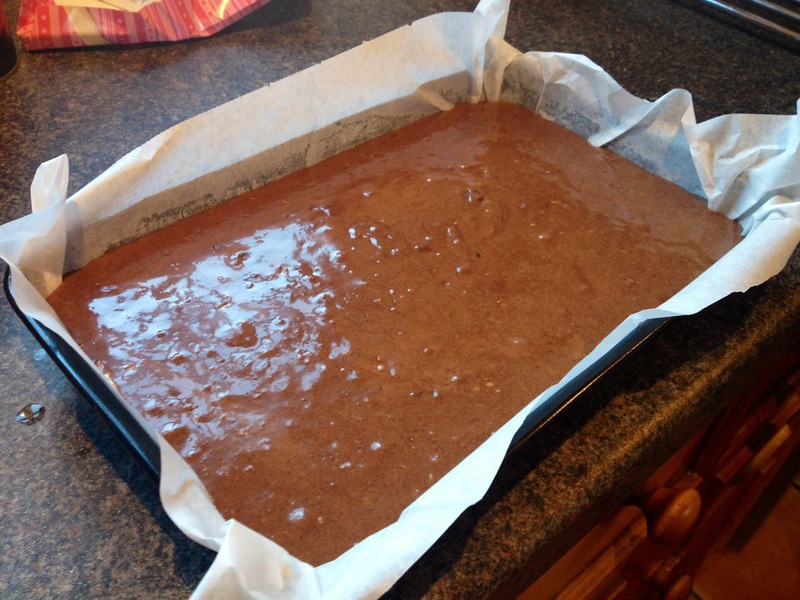 Remove from the oven and leave to cool before cutting into squares. I don’t think I knocked enough air out of my mixture as the top crust seems to have risen a little and cracked where bubbles have formed, but they’re beautifully moist and squidgy in the middle and taste great. Overall I think my first Sunday Bake has been a great success!! These would be great served warm as a dessert with a scoop of vanilla ice cream.